About a year ago, I found an amazing way to start my day: a healthy vegan smoothie. 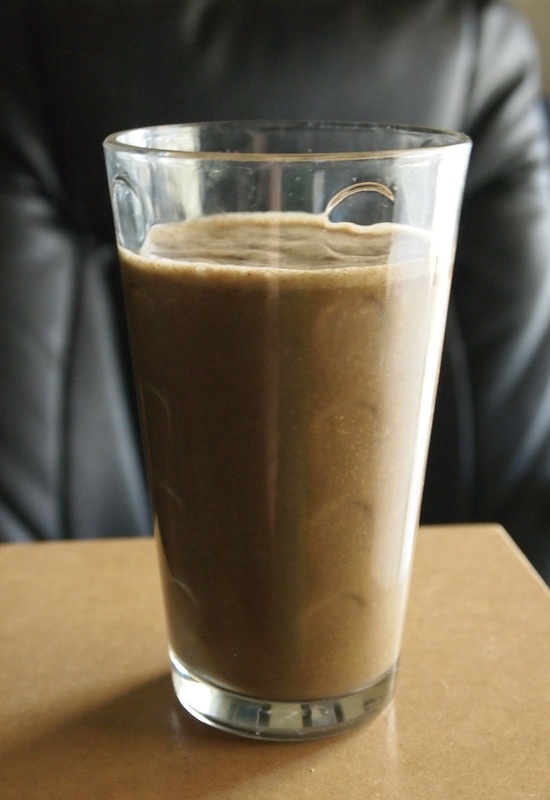 I was looking for a good recovery food post-workout, but I'm not a huge fan of green juices. 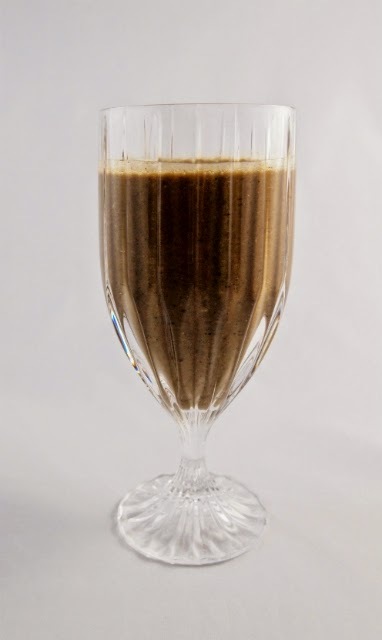 I found a recipe for a chocolate-almond butter smoothie in the book Thrive and adapted it to make it even more delicious. I have a chocolate smoothie almost every day and even take them to early morning photoshoots. These smoothies start my day out right, giving me plenty of energy and keeping me motivated to make good food choices throughout the day. Click the "Print Friendly" button below for a printable or PDF version. Blend well. Makes 4 servings. Feel free to adapt it to your tastes! I love making a batch and pouring leftovers into GT's Kombucha* bottles. I also use a 1/8 cup measuring cup (same as 2 tbsp). You can mix the dry ingredients (cocoa, flaxseed, greens powder, and hemp protein) ahead of time. If you're addicted like me and looking for a good substitute when traveling, be sure to check out Vega's powdered chocolate smoothie for a great source of vegan protein. If you're looking for a blender, I use this Kitchen Aid model and it has held up well for over three years. If you're on a budget, consider this budget option. If you're a smoothie enthusiast, I've heard many swear by their Vitamix blenders. *I'm not a fan of the drink but I love the bottle because they are glass (BPA-free) and have plastic lids that won't rust after a few runs in the dishwasher. I'm with you on liking green "health" drinks. This looks really yummy! I'm new to being a veg so these are great recommendations for protein to. I'm trying to fill in all the gaps (recently got some vegan EPA/DHA from NuTru www.nutru.com which I love) and keep my body happy and healthy! Thanks again!